Mark your calendars: The Festival of Biodiversity is coming! Did you miss the Festival of Biodiversity last year? We return to Vivocity again this year, on the weekend of 12 and 13 July! 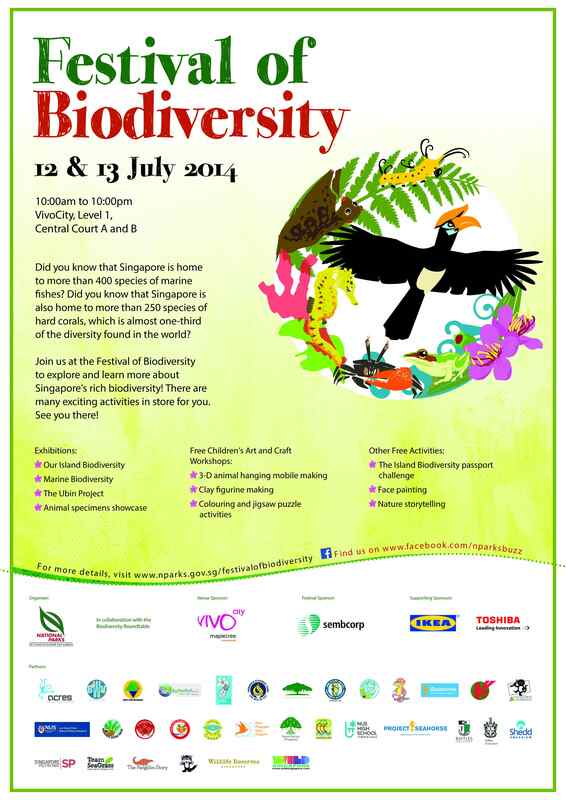 Come and learn more about Singapore’s wonderful biodiversity. There will also be talks and workshops for kids throughout the two day event. To find out more, visit the event’s microsite!